Sometimes, I’ll pull on a coat, scarf and shoes and rush out the door before realising that I’m wearing a lot of animal print. But how much is too much? My cousin would come out in hives if she saw print, on top of print, on top of print. 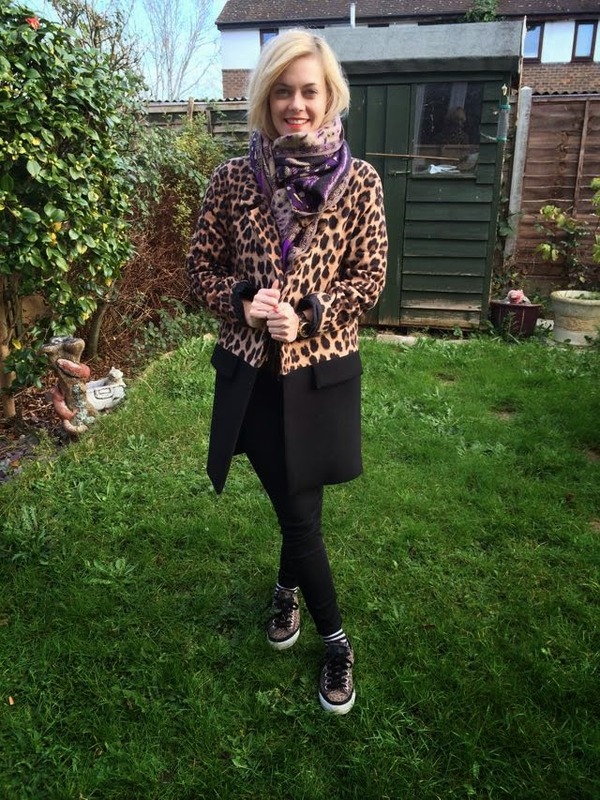 Especially because my scarf is a purple and gold animal print, clashing with the neutrals on my coat. Throw in the fact that I’m wearing striped socks and I know she’s currently hyperventilating. To me, this will never be too much. I am a lover of all prints, I just so happen to own a helluva lot of the animal-printed variety. I went head-to-toe here and I loved it. And I will be rocking it again. Previous Post Is This the Ultimate Party Dress?